Cross as many bridges as possible with Crazy Bridge! 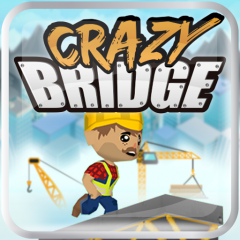 Crazy Bridge is a simple mechanics game in which our main goal is to cross as many bridges as possible. Challenge your friends! Beat your own limits! Or better, collect coins and unlock all the Crazy Friends that this new game offers you!